In the depths of the tundra, life may be a little different than what we’re used to, but there’s one thing for certain: a marathon is still 26 miles long. If you’re looking for a typical endurance challenge, however, that’s where the similarities end. In the southeastern corner of Siberia, Lake Baikal sits unassumingly, hardly giving away that fact that it is one of the world’s deepest lakes. Even as spring begins to settle in around Lake Baikal, the ice that forms atop it is generally still one meter thick, making it an exceptional location for running a marathon. Many of the marathon participants who join each year enjoy running ultra-marathons in extreme environments. From 150-mile runs in the Sahara desert to running the length of England, ultra-marathons make the 26 miles required by a regular marathon look like a walk in the park. Though the run on Lake Baikal isn’t of an exceptional length, the weather has a tendency to be unpredictable. Sometimes, temperatures are a cozy 14 degrees Fahrenheit, but that can quickly drop, especially as the wind picks up clouds of ice, before nearly throwing them at anyone who dares to step foot on the mass of frozen water. 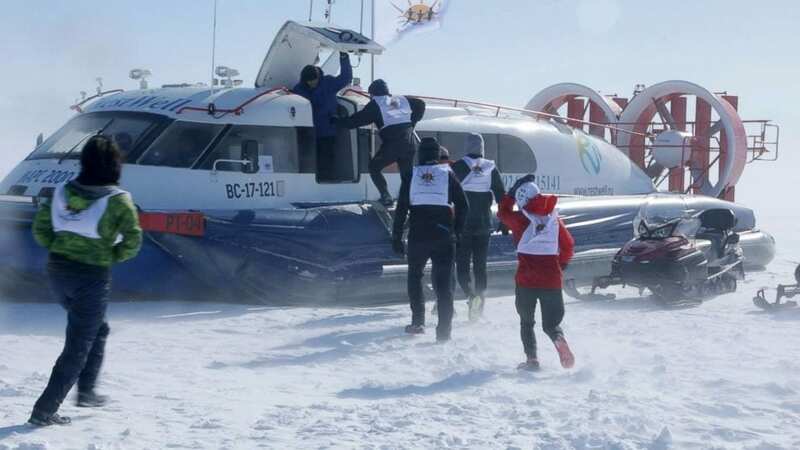 For the past 14 years, an intrepid group of roughly 150 runners has gathered on the lake’s shores to be transported by hovercraft to the starting point. The comparisons to a science fiction world don’t end there. Lake Baikal is so deep, it contains more freshwater than the combined volume of the Great Lakes in America. The environment itself is so pristine that the ice freezes nearly clear on the surface, trapping a variety of gases that are frozen under the surface of the water, giving runners a chance to peer into what can seem like the deeps of the galaxy within our home planet.